Have you ever wondered who you are and why you behave the way you do? This is a hard question to answer. In order to know yourself better and deal with people around us we need to learn ourselves at first. People are very susceptible to stress. It may affect greatly our friends and family. If you need professional help you can visit a psychologist. But most people can manage with the problems by themselves. Here are some very good applications to help you find out more about yourself and the others. 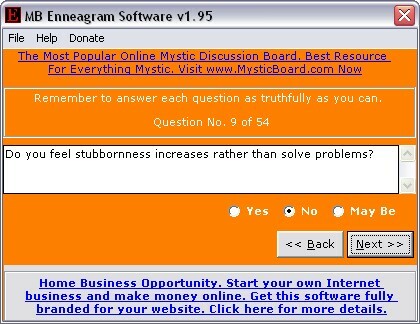 MB Free Enneagram Software is a program that allows you to understand yourself better. It can define your personality type. It also analyzes your nature. It highlights the dominant features of your character and splits all personality types into 9 categories. It is a shareware program. You can use it for free during a 30-day trial period. It is easy to use. After the installation process it suggests you to start the test right away. Click the Test Yourself Now button and start immediately. You will be offered to answer 54 questions. These questions are based on common human behavior and social values in life. The subject touchs upon different aspects of person’s emotions, motivations, thinking and life position. We all treat our friends and relatives in different ways. 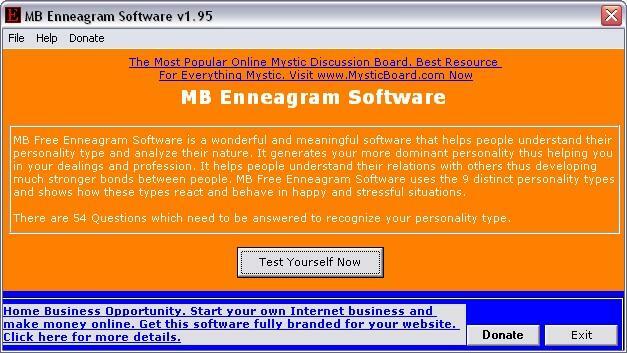 MB Free Enneagram Software helps you to identify which personality type dominates in you. The questions vary a lot. It can be about personal, social, working, love and religious matters. Basically, it can be about anything. You should be ready to answer as truthfully as you can. It will help you to define the type you are. There are 9 types (the perfectionist, the helper, the performer, the romantic, the observer, the trooper, the epicure, the protector, the mediator). When you are done with the questions there comes the result. 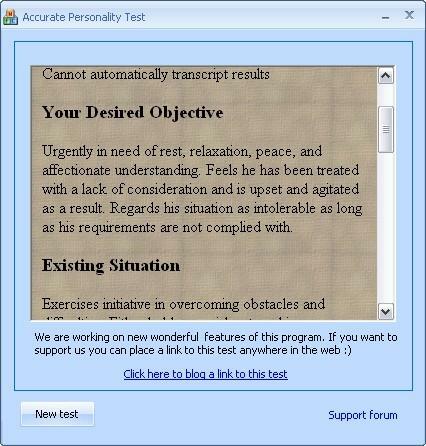 Program shows the summary and provides you with the description of the personality type you belong to. To achieve better visibility, a color is assigned to each personality type. It gives you the option to see better which type dominates in you the most. The personality type description gives you the short outlines of the features of your character and some aspects of your life. You can also see the information on how you have answered on each question. Conclusion: it is fun and amusing. It is extremely easy to use and you might find it very useful in order to understand yourself and people around you better. It is a free and very light application. Installation takes just a few seconds. It allows you to test your psychological state. It is a personality test. With its help you can learn a lot about your mental condition. 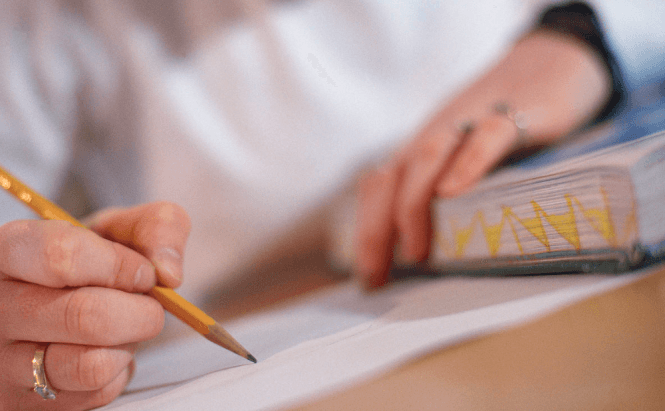 To take the test is very easy. What you have to do is to choose colors and follow the instructions. The choice of colors depends on your mood, circumstances and conditions. Pick the color that makes you feel in the best way at this very moment. The order of the selected colors defines what you want and need. Color selection is made unconsciously. Computer processes the information and presents the results to you. There is a lot of information you can learn and study. All the information is precise. Actually, this test was invented by Dr. Max Luscher. 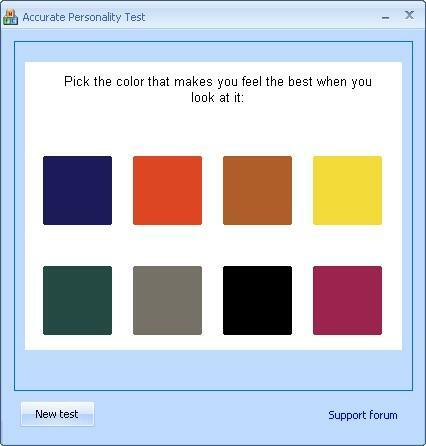 The study was based on unconscious color selection. He believed that colors reveal the true nature of a person. This application very accurately shows your mental condition. It takes less than a minute to go through the test and some time to read the results. 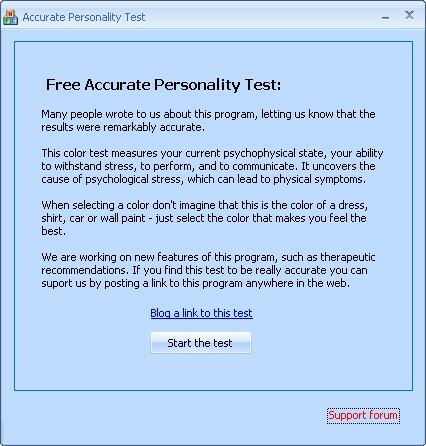 You can take Accurate Personality Test several times a day and the result will amaze you. You can have a short break with it and get pleasure during your working hours. Conclusion: it is a great application to define your mood at the moment. Some results can really be impressive and indicate your mood and personality very well. In some way this piece of software can help people to find harmony. 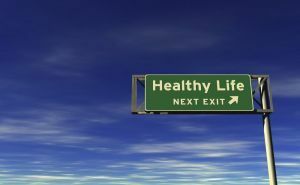 Of course it can not solve all the problems, but it may lead you to the right way. ArticleWhat Do You Need JPEG For? Previous story Total Commander	Next story All Downloads Extremely Fast!